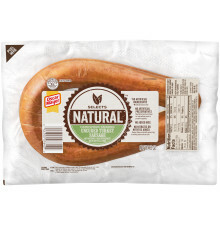 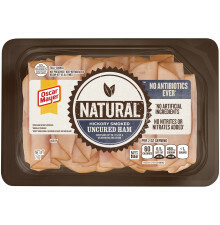 Oscar Mayer Natural Honey Smoked Turkey Breast is made with our cleanest ingredients, with no antibiotics ever, no artificial preservatives, no added nitrates or nitrites, and nothing artificial. 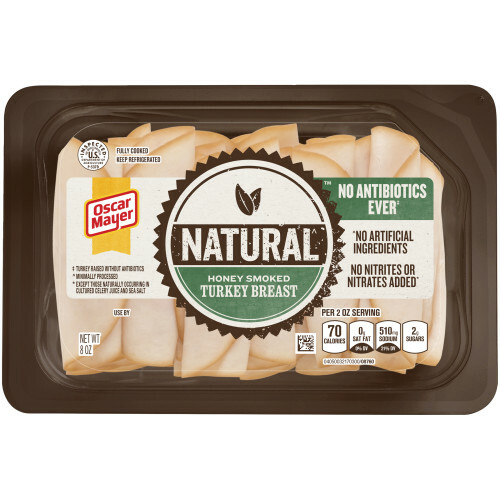 So nothing gets in the way of great taste! 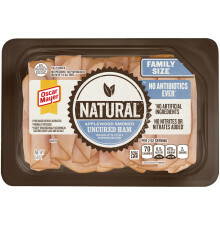 TURKEY BREAST, WATER, CULTURED DEXTROSE, HONEY, CONTAINS LESS THAN 2% OF POTATO STARCH, SEA SALT, VINEGAR , CULTURED CELERY JUICE, CHERRY POWDER .